The Days of Johann, an agility dog! : Fun new Squidoo lens! 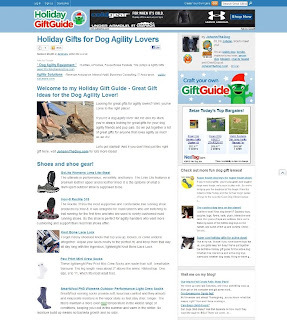 Oh, we think you are gonna love this, especially if you love agility as much as we do!!! 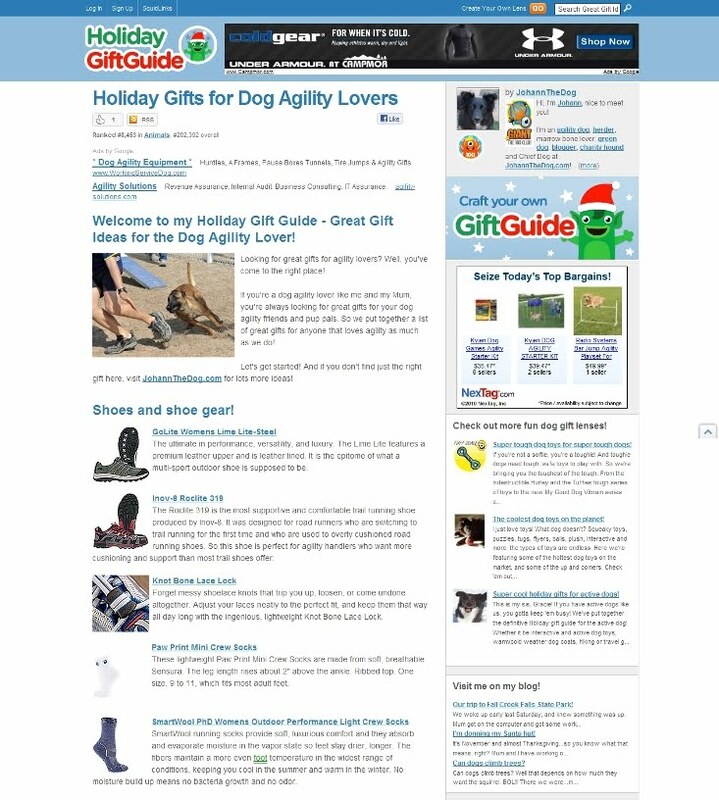 We got all inspired yesterday to create a Squidoo lenses entitled, Holiday Gifts for Dog Agility Lovers, and it's loaded with great ideas that you can add to your wish list, share with your friends and oh, yeah, buy something for your agility buds, too! Oh, and whether you love agility or not, there's some cool stuff there, worthy of a check. That is one wicked Christmas list. I think you've got it all covered. For one thing, I didn't even know shoe dryers existed. Now all of a sudden I don't know how I've been living without one.